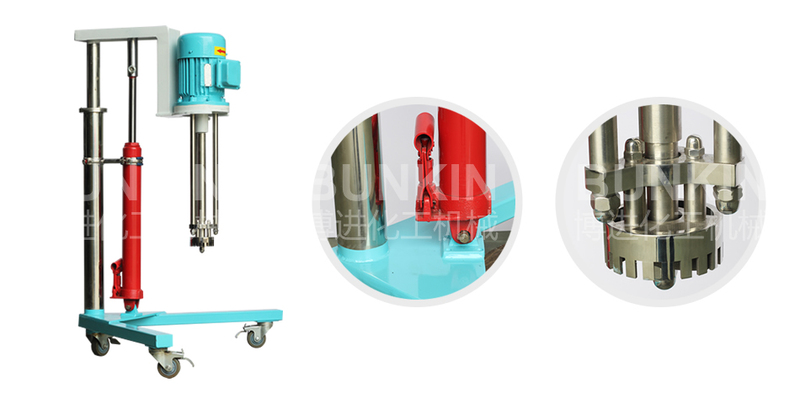 High Shear Mixer(manual lifting)_Anhui Bunkin Chemical Machinery Co.,LTD. Batch Manual Lifting High Shear Mixer fixed on various containers batch high shear emulsifying machine, it can be made into a closed vacuum type, kettle and other equipment used together to achieve automated production systems. It's working capacity is generally between 20-300L. 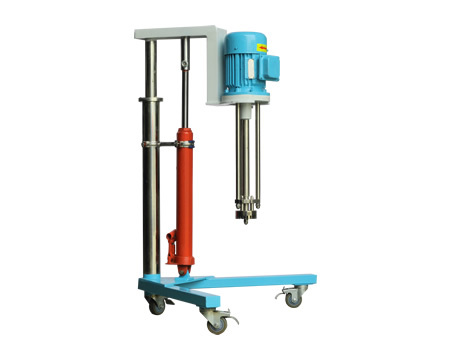 It suitable for emulsifying, homogenizing and dispersing materials in industries, such as biology, pharmacy, food, cosmetic, ink and pesticides etc. 1-7.5 kW, TEFC, flame proof, ATEX approved and stainless steel motors available as standard. All mixers can be hanged on and mix with the mobile vessel.